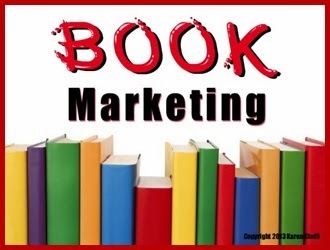 You’ve taken the initial steps to begin your book marketing journey. The first rung on your marketing ladder is to create a quality product, in the case of an author, that would be a book. You need to create an engaging story, be part of a critique group, make sure the manuscript gets edited/proofread, and have a knock-out cover. The second step or rung on the marketing ladder is the actual book promotion: creating a platform and brand for you and your book. 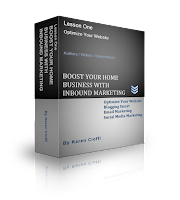 This is accomplished through visibility which includes: creating a website, adding content to your blog on a regular basis, doing article marketing on a regular basis, and garnering guest blog spots on quality sites, among other strategies. Once all the above is underway and your book is going to be available for sale, even if it’s for pre-sale, now is the time to go on a virtual book tour. Virtual book tours can be an effective promotional strategy, and you can initiate one on your own, or pay a publicist or book promotion marketer (tour service) to do it for you. Obviously, depending on your financial situation, you will need to decide which will work for you. The advantages of hiring either a publicist or tour service is their wider audience reach. If the service is a quality one, it will have quality sites for featuring you and your book. When choosing a publicist or tour service find out exactly what you’ll be getting for your money. You might also ask around for recommendations. On the other hand, if you’re intent on initiating and managing your own tour you will need to post messages in all your social networks asking for bloggers to participate. If you are active in your groups, and have been paying-it-forward, this shouldn’t be a problem. Try to aim for bloggers who have followers in your target market. While most writers belong to writing groups, try to expand your reach to groups and bloggers who actually have readers who will be interested in your book. For example if your book is for the middle grade crowd or children who read chapter books you might look for bloggers who are involved in parenting groups, grandparent groups, teacher groups, etc. You should begin this process at least a month or two (two is better) before you want to have your tour. It may take a while to get all the hosts on board, decide who will feature what, have reviews prepared, answer interviews, prepare a press release, and so on. Give yourself enough time so you’re not rushing. For the tour of my children’s middle-grade fantasy book Walking Through Walls, as each blogger accepted my request for hosts, I created a list of their names, the dates I’d be on their sites, and what would be presented on each host’s site: a book review, an interview, an article (with the title), or a combination. A note here: Offer a variety of content during your tour. While your initial thought might be to promote, promote, promote, readers will quickly get tired of reading review after review, or umpteen interviews. Offer writing and marketing articles in addition to the reviews and interviews, and alternate their postings. Try to keep the tour fresh. For the interviews and articles, you can add your promo at the end of the content. You might include a brief review, synopsis, even a favorable email a reviewer sent you (just be sure you get the person’s permission first). Give Your Author/Writer Business a Boost with Inbound Marketing is just what you need. It's interactive, in-depth, and priced right. Check it out today. Just CLICK HERE for full details.